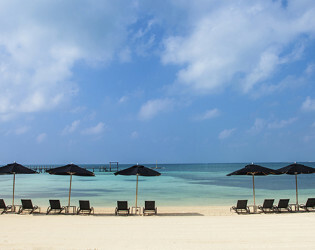 Breathe in the Mexican spirit and exhale the Mayan soul just outside Cancún. 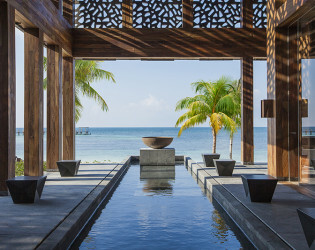 This luxury resort and spa offers guests an insanely memorable stay with highly customized service alongside crystal-clear waters and pristine beaches. 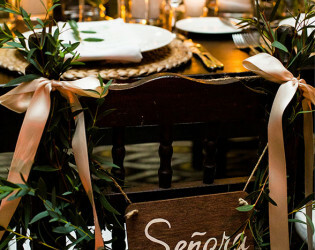 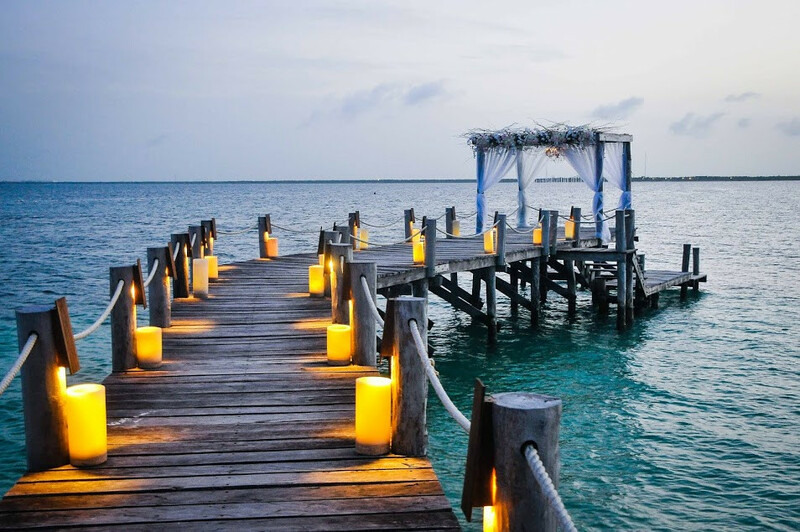 Throw in the chic restaurants and live Cuban jazz and you’ll never want to leave. 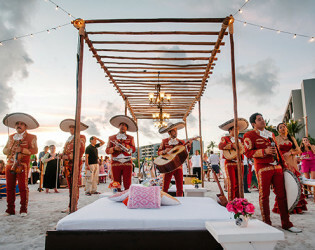 A Mexican Spirit. 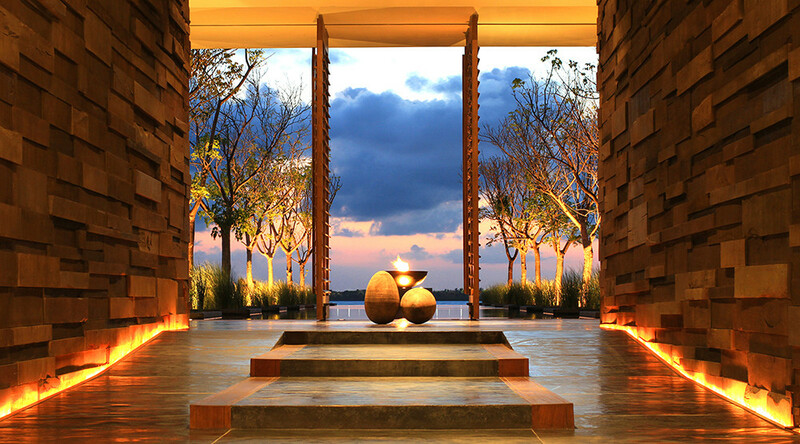 A Mayan Soul. 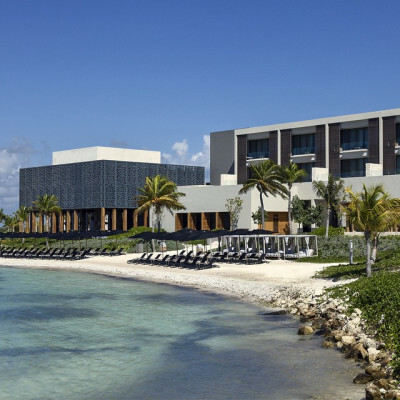 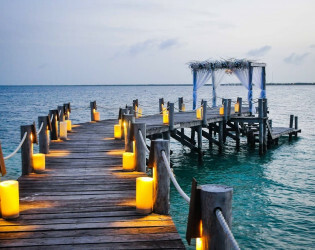 Located in the secluded enclave of Punta NIZUC, less than a 15 minute drive from Cancun International Airport, NIZUC Resort & Spa redefines the standard of luxury in Mexico and around the world. 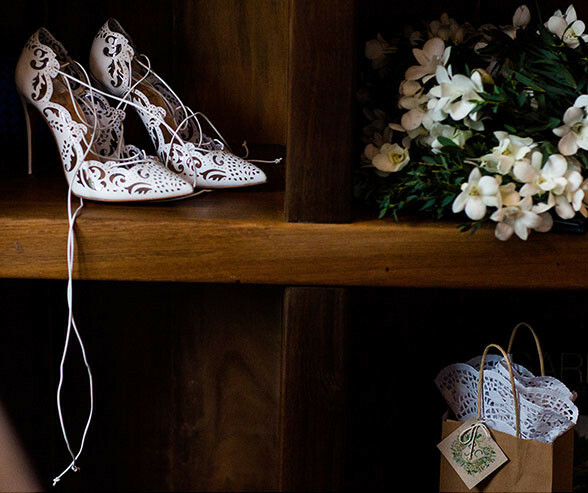 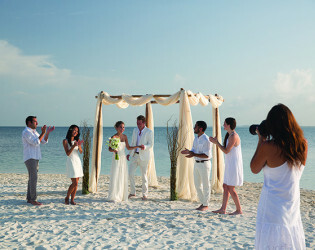 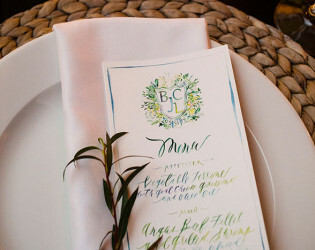 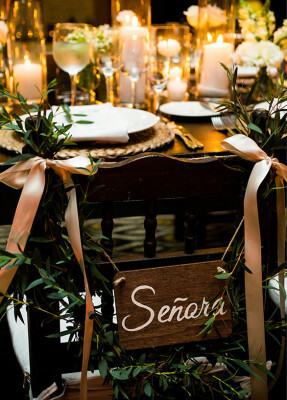 In order to have a wedding event we require at least 50% of the guests from the wedding stay at the resort for 3 nights. 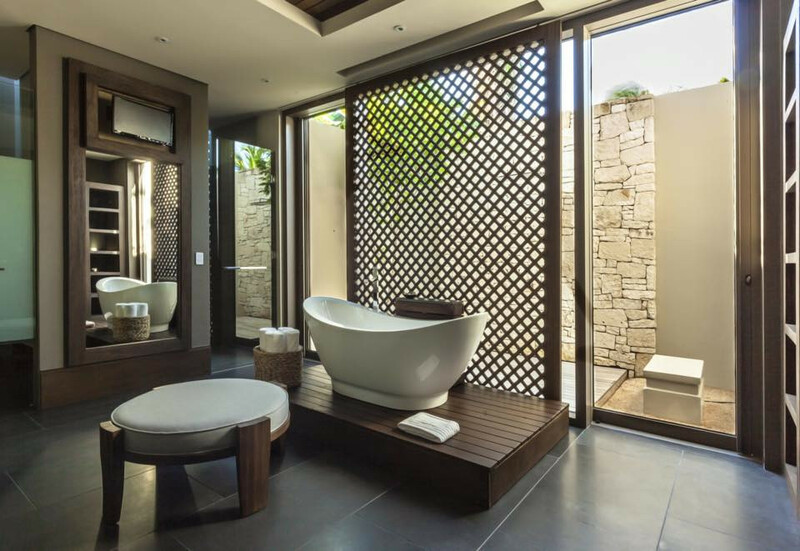 - Our 274 luxurious suites and private villas are dispersed throughout our 29-acre property. 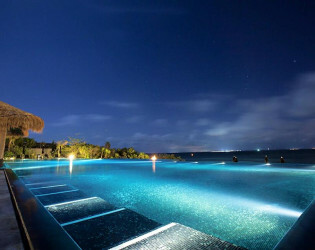 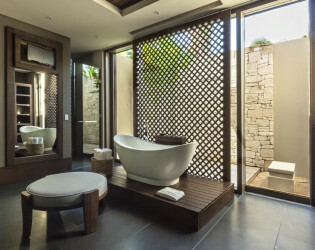 Features include private pools, spacious terraces, lush tropical gardens, sweeping views and free-standing soaking tubs. 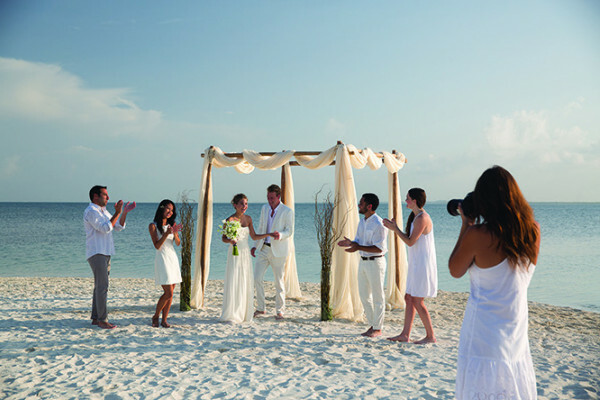 - Accommodations are divided into three distinct categories to fit the needs of every guest. 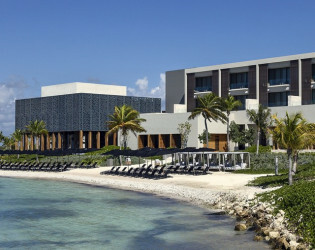 - Ocean Suites offer sweeping water views in an adult-only environment perfect for a romantic getaway or honeymoon. 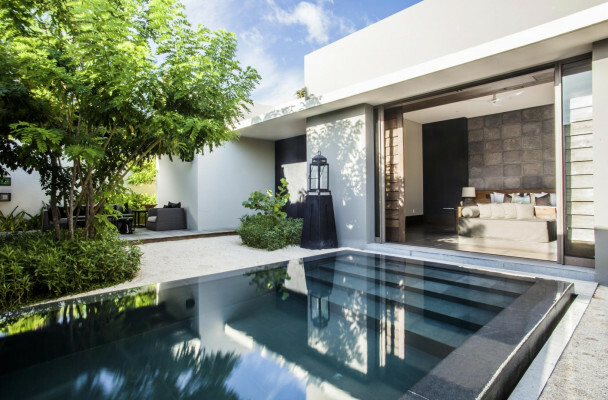 - Garden Pool Villas provide the ultimate in seclusion with private pools and lush tropical gardens for those seeking an exotic escape. 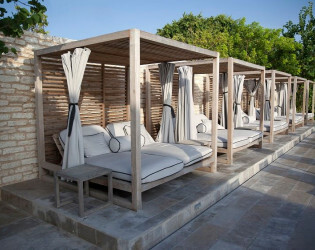 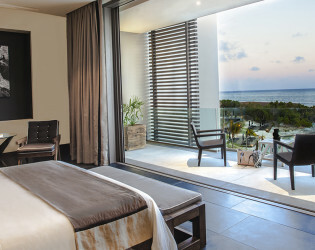 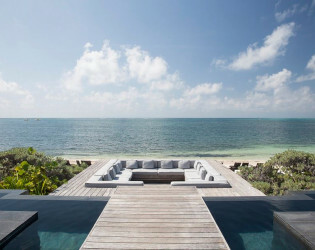 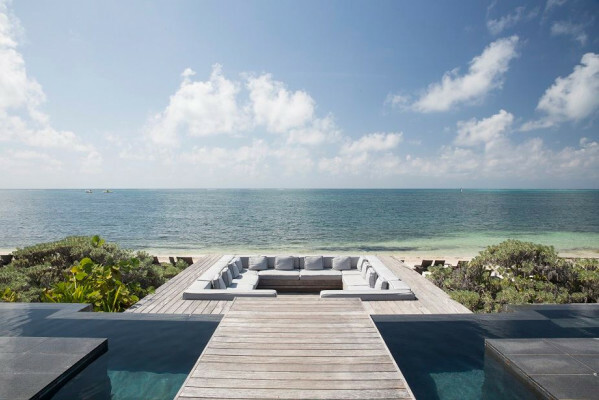 - Residence Suites range from master suites with infinity pools and ocean views to those featuring connecting rooms perfect for families. 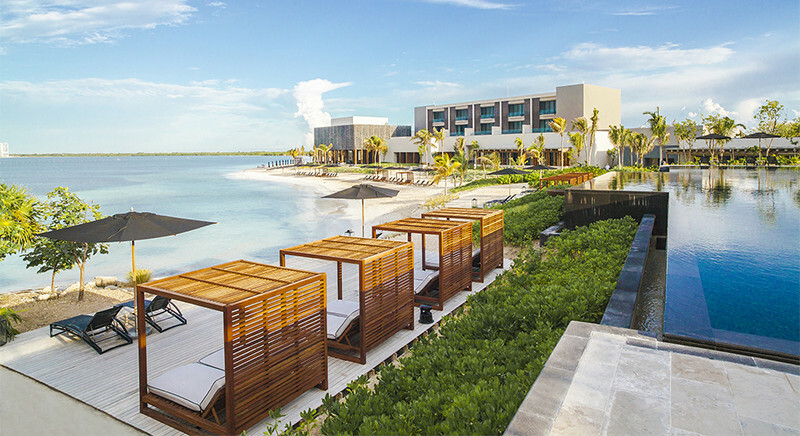 Nestled on a lush 29-acre nature preserve, this slice of paradise provides an escape like no other on Mexico’s stunning Caribbean coast. 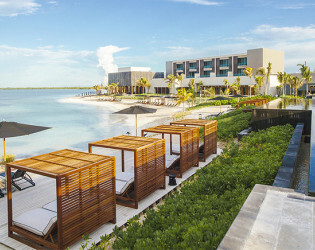 Once a base station for Mayan astronomers and later a presidential retreat for world leaders, the luxurious resort overlooks the great Mesoamerican Barrier Reef and boasts two exclusive beaches, a lavish spa by ESPA, six gourmet restaurants, and sumptuous accommodations. 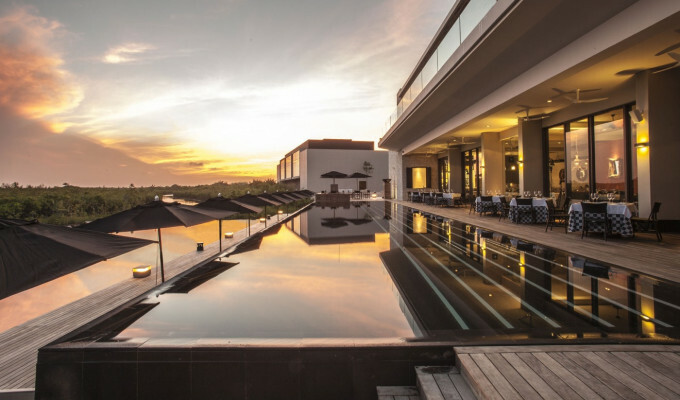 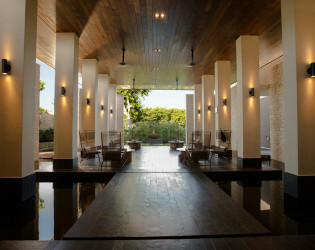 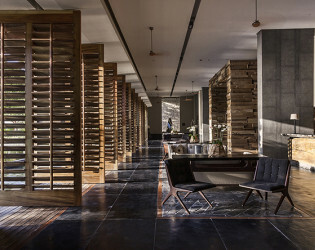 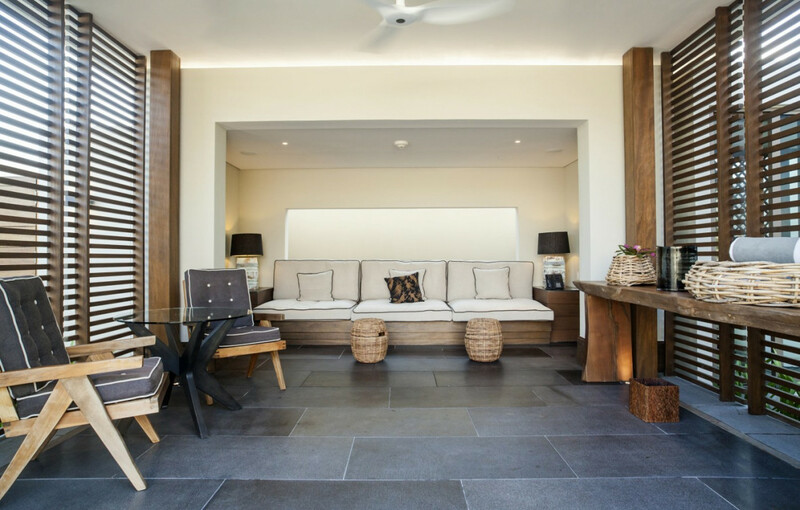 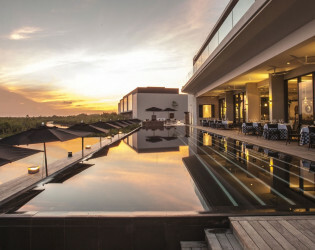 Numerous artistic talents have come together to create a destination that infuses a uniquely modern sensibility with an essentially mayan ethos - A perfect bend of site specific architecture and design. 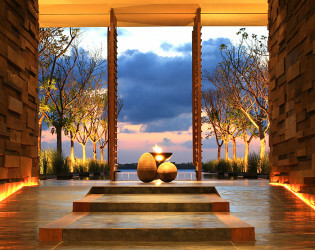 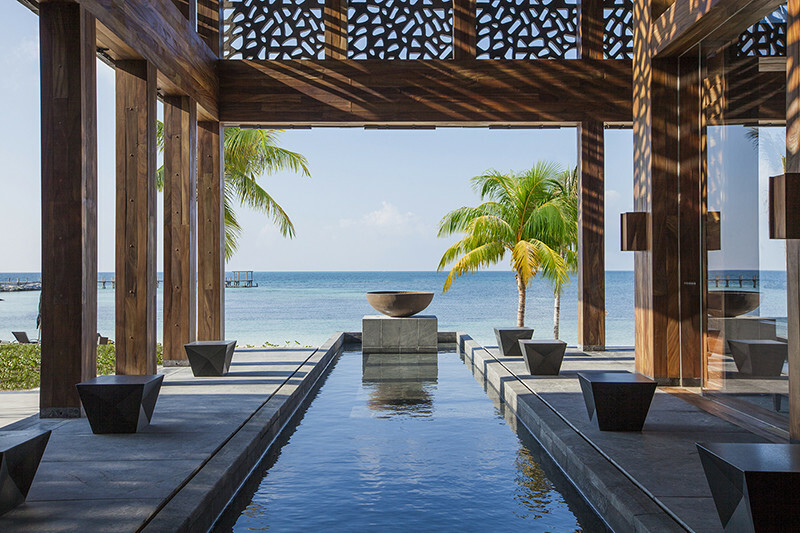 NIZUC offers unique experiences designed to renew and purify the mind and body. 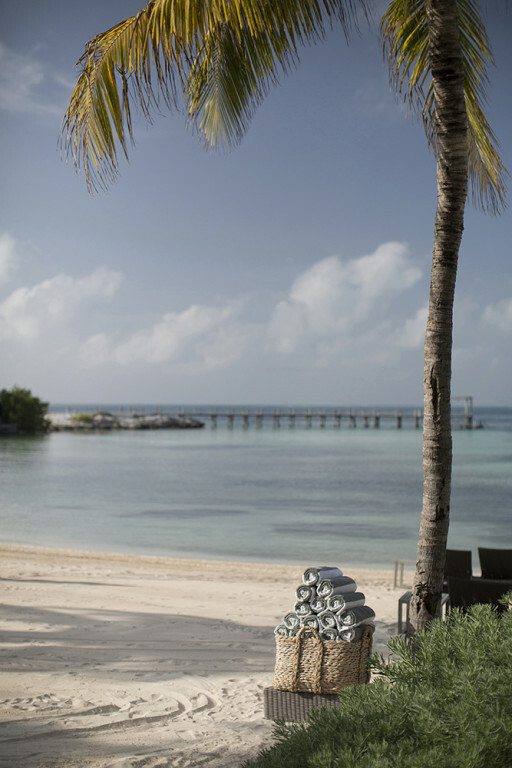 Upon arrival guests will be informed about the weekly activities in NIZUC Life program such as Culinary experiences, Paddle Board, Yoga, Snorkeling Tour and other active sports. 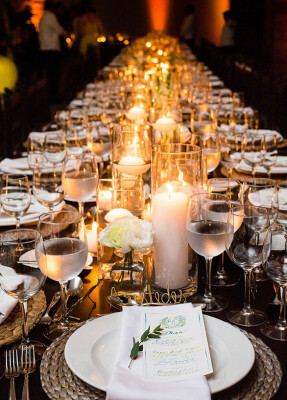 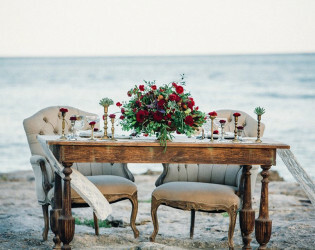 Round tables, linens, cocktail tables, gold tiffany chairs and tiki torches. 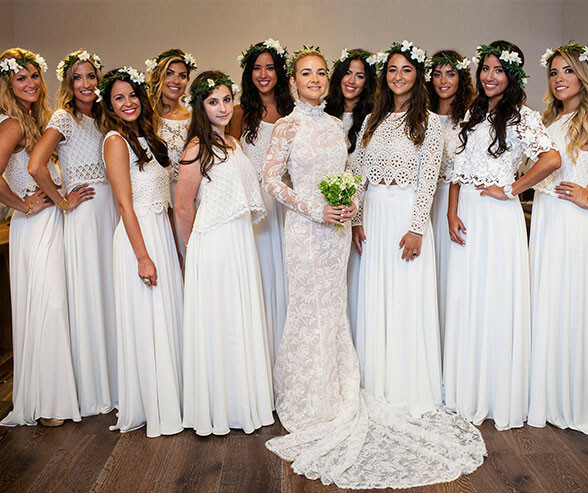 Feature in Style Me Pretty, 100 Layer Cake, Grace Ormande among others. 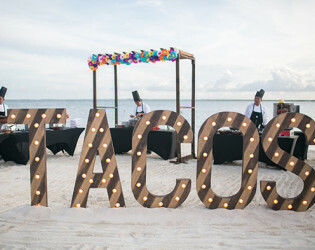 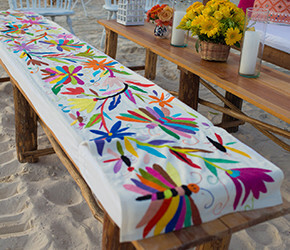 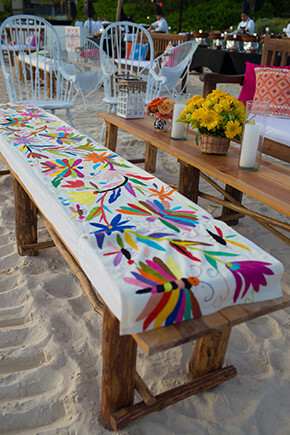 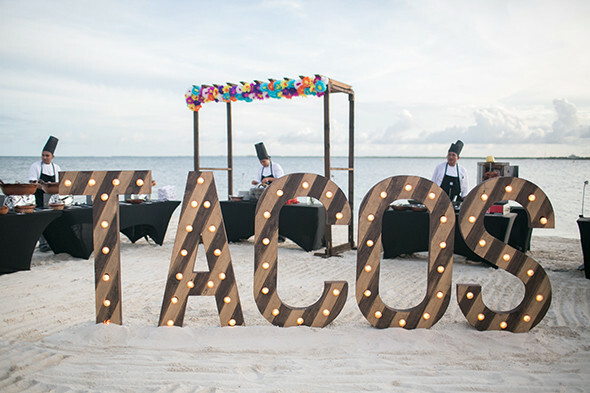 A contemporary interpretation of traditional Mexican cuisine served in a spectacular setting overlooking the beach. 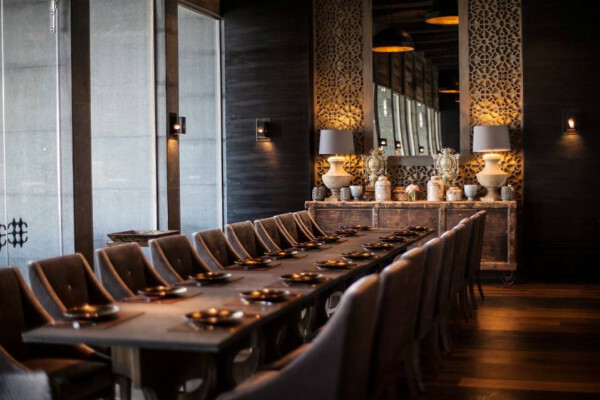 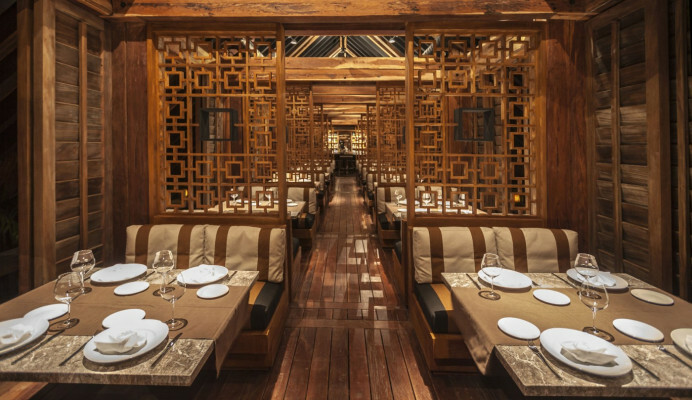 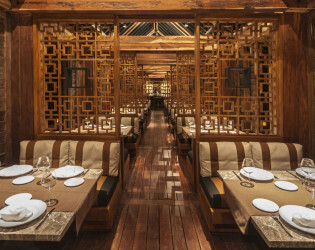 A fusion of Asian spices and fresh ingredients recreate the classic dishes of the Far East with a modern twist. 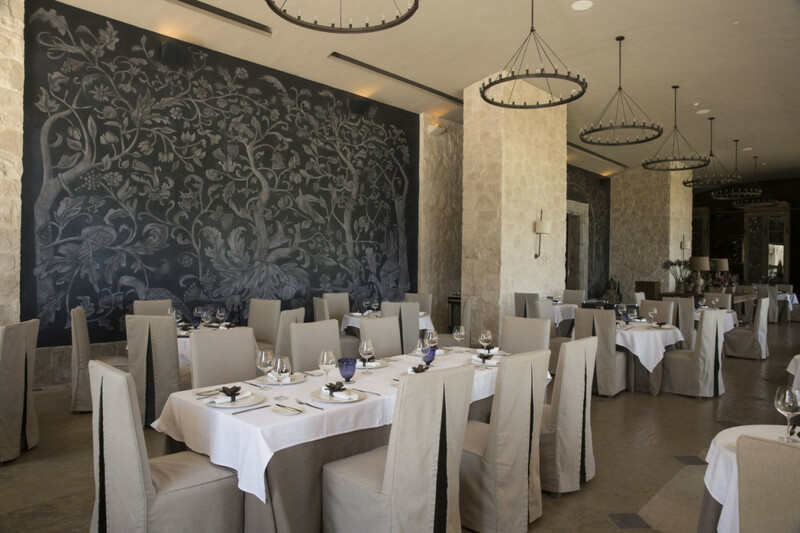 This Mediterranean restaurant explores the region’s rich culinary heritage with enticing and unforgettable flavors. 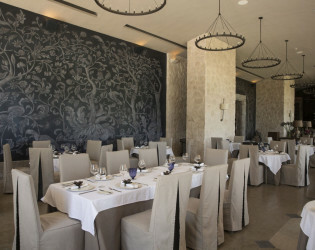 Offering a tantalizing Peruvian experience, Ni is a place where small dishes carry big flavors. 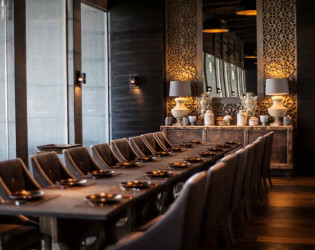 Awakens your senses by taking you on a global culinary journey in a casual atmosphere. 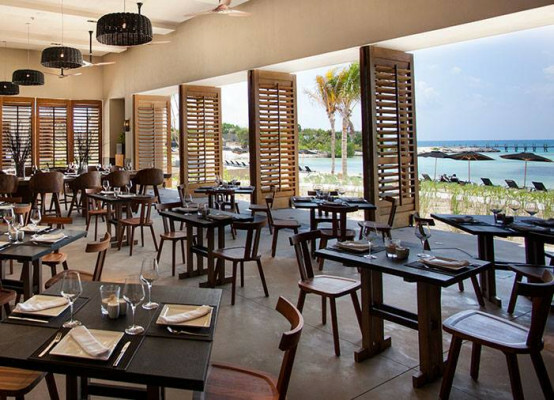 With its thatch roof and tropical setting, La Punta Grill & Lounge is the perfect place to indulge. 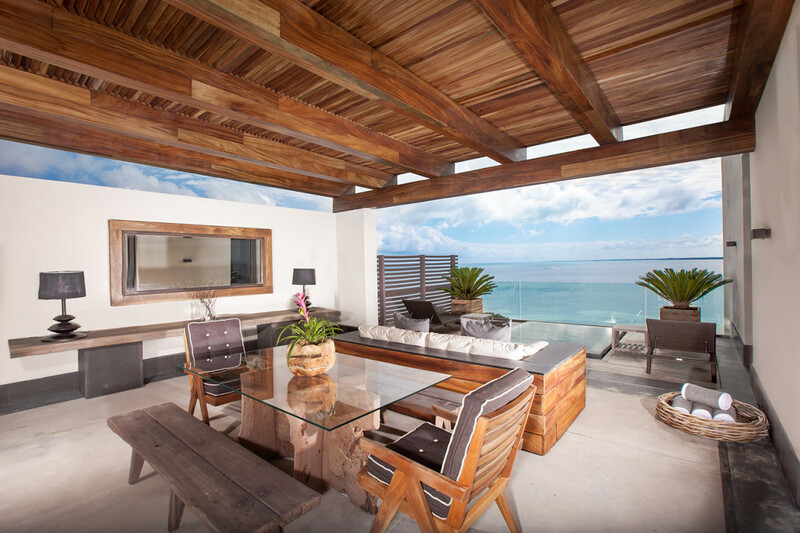 This gorgeous oceanfront space has inspiring views and inspired cocktails. 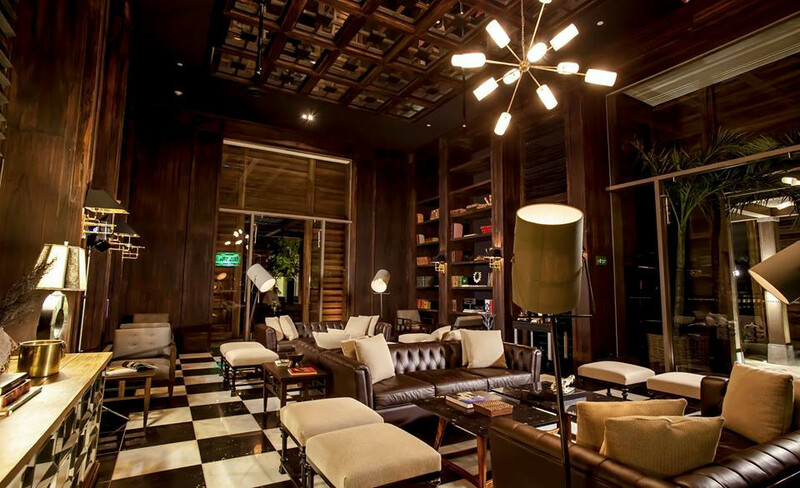 An intimate cigar lounge boasting an extensive selection of Caribbean rums. 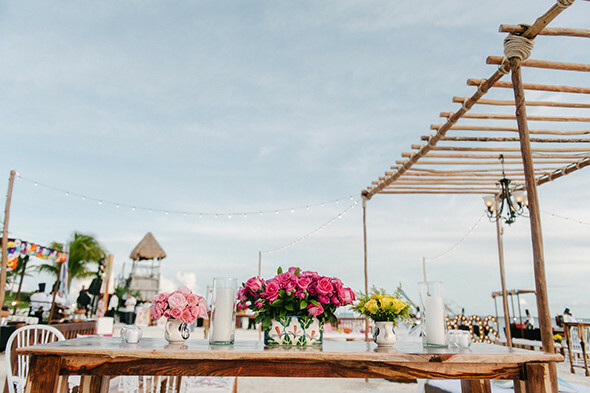 Exceptional cocktails and sunset views open you up to an evening of lively music and engaging conversation in this social atmosphere, overlooking the mangroves. 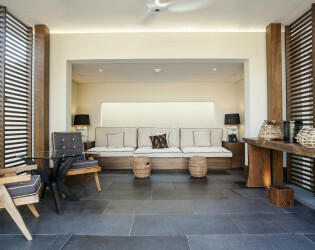 Our 44 Ocean Suites are located throughout the lobby area and are only a few steps away from NIZUC Beach, Reef Beach and the main pool area. Numerous artistic talents have come together to create a destination that infuses a uniquely modern sensibility with an essentially mayan ethos. 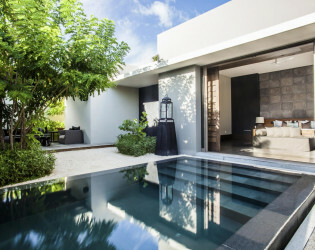 Located just a short distance from the beaches and main pool area, the Garden Pool Villa features a bedroom suite set in a private tropical garden with an infinity pool and waterfall. 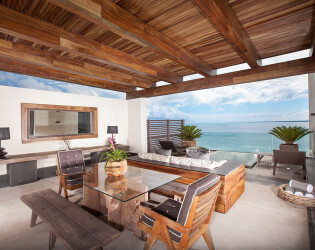 Imagine yourself enjoying an ocean breeze from the privacy of your own open-air lounge. 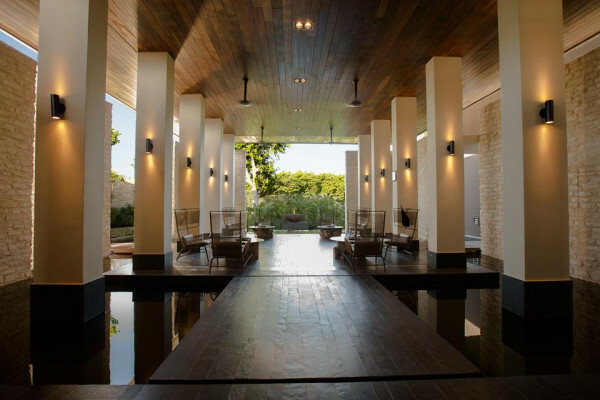 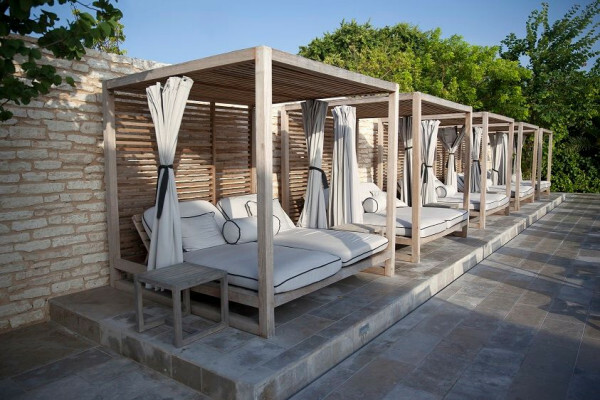 Step into a state of total tranquility at NIZUC Spa. Trade the Winter Blues for the blue skies and turquoise blue waters of NIZUC. Remember that nature is a great restorer. The perfect spot for rest and relaxation. 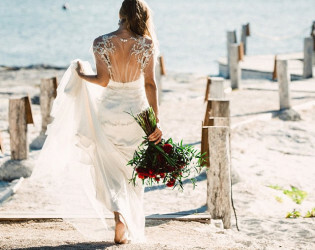 We love a bride with sand between her toes. 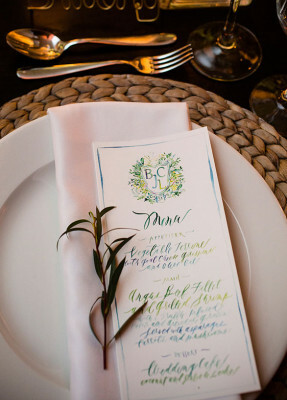 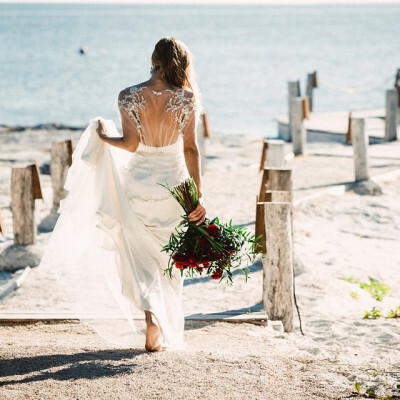 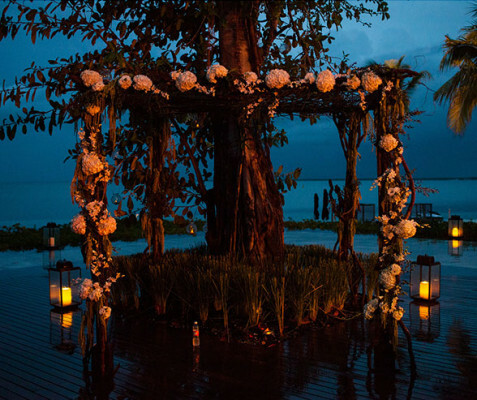 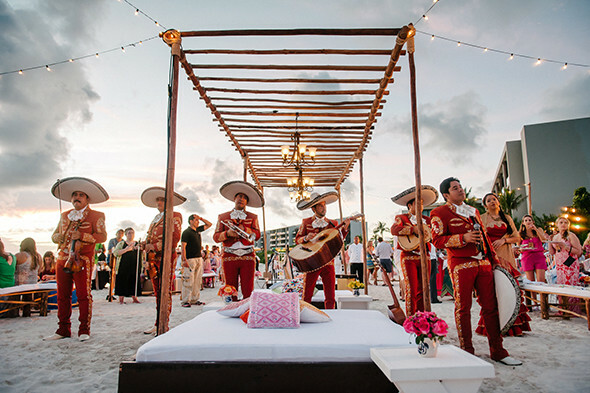 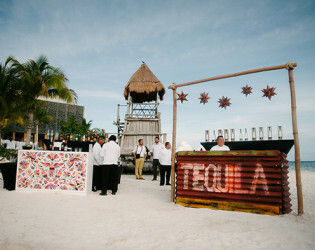 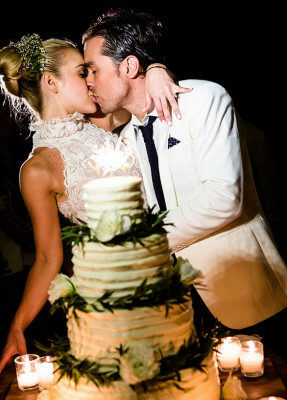 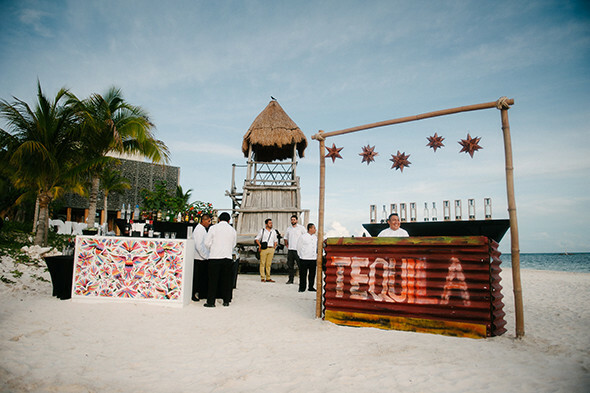 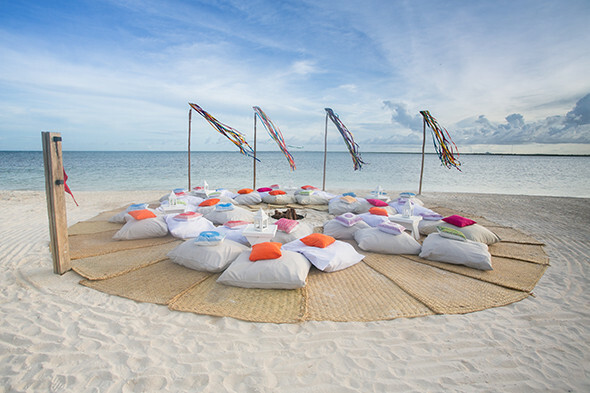 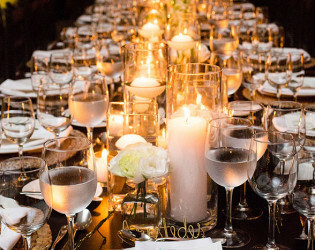 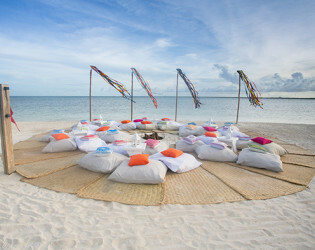 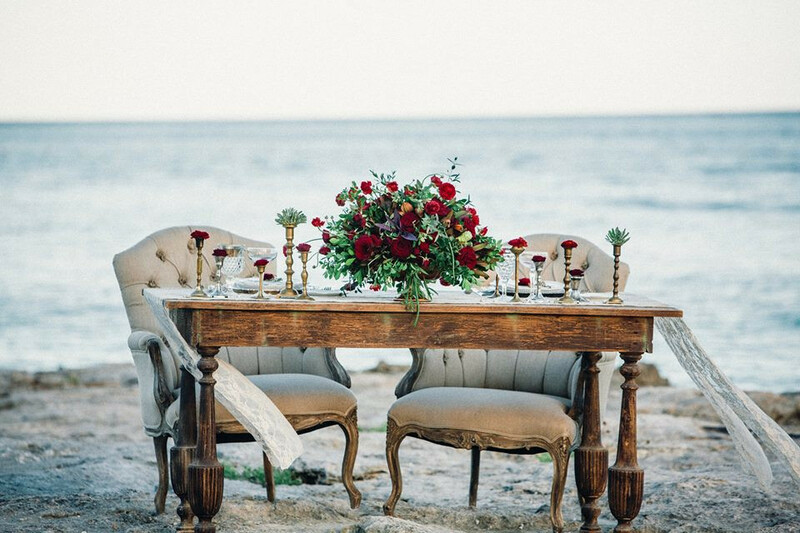 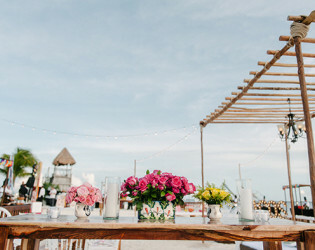 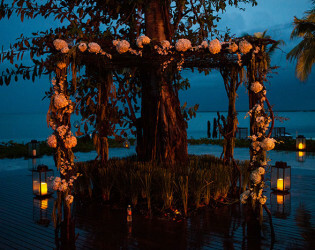 Seaside at NIZUC, the perfect setting for an unforgettable wedding. Overlooking the mangroves and the canal, Terra Nostra, with its large outdoor deck and infinity pool, is reminiscent of an Italian beach club. 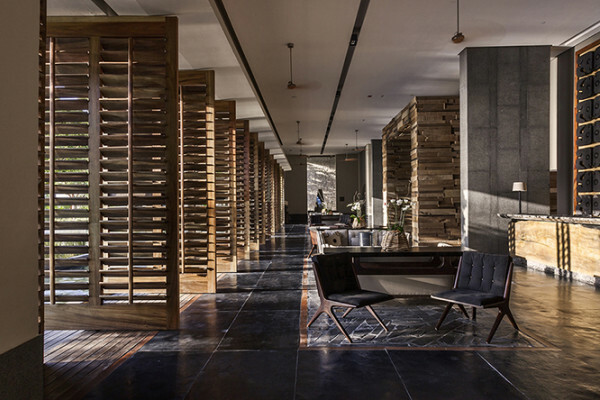 The limestone walls and wooden art details infuse the NIZUC lobby with our Mayan spirit. 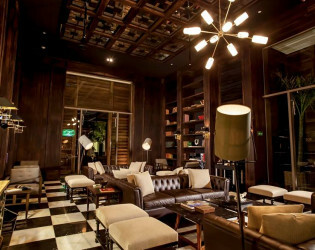 With unique Cuban style decor, the Havana Lounge features an extensive selection of rums and tequilas. 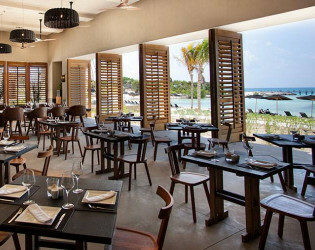 The restaurant's linear design and natural wood make you feel like you're transported to Hemingway's luxurious island estate and the menu features an array of perfectly prepared steak and fresh fish. 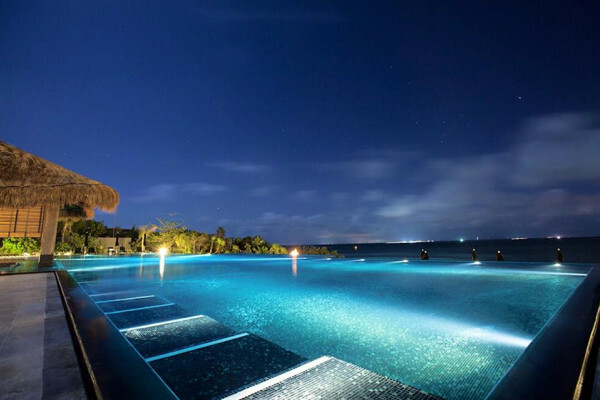 Lighting so perfect the mood sets itself at the main pool.